A humble dessert befitting the Convent. This recipe is particularly handy as I like baking bread but homemade bread doesn’t last as long as commercial types, given it has no preservatives. 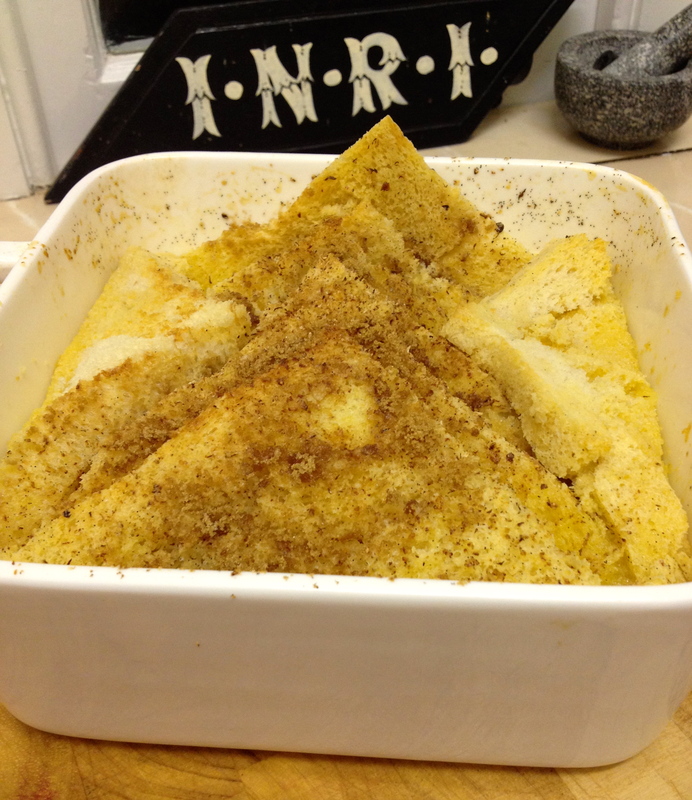 I make breadcrumbs and freeze them but dishes that use the bread also are very handy. A Bread and Butter Pudding is hard to pass up and so easy to make. A great comfort food in hot or cold weather. I partly use this blog as an easy reference point for me for my more frequent recipes but hope others enjoy them as well. I prefer recipes where I am likely to have the ingredients on hand (and that they are readily available – this isn’t inner-City Sydney for shopping). Grate nutmeg over the top and, if you prefer, sprinkle with more sugar (brown or demerara is extra good). Allow to sit for 10 minutes (or you can serve cold).